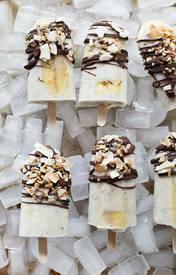 Banana coconut & chia popsicles! It's summer time, guys! That means bring on all the frozen treats, right? These popsicles are just that but with the added bonus of being EASY to make as well as pretty darn healthy.